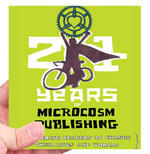 The history of the first ten years of Microcosm Publishing, told in graphic detail! For the first time ever, read about how we got to where we are today through working long hours at low (or no) pay! Join us on our journey through starting out in a bedroom, putting out records, growing, moving to Portland, publishing books, growing, moving into an office in Liberty Hall, amassing more zines than anyone could ever know what to do with, and more. 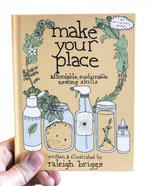 A fun foray into getting inspiration and perspective for making your own projects. Entries written by Joe Biel, Alex Wrekk, Franco Ortega, Marc Moscato, Siue Moffat, Peter Aaron "Thug" Green, and more. 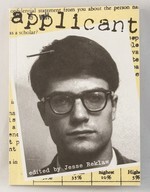 Cover by Alan Lastufka. 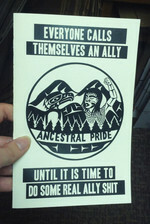 This little printed zine is mostly written by Joe Biel, founder of Microcosm Publishing and active member of their current collective. The content of the zine is pretty self-evident from its title; this is the story of Microcosm from its modest beginnings as a tiny distro and record label to its current incarnation as book publisher and zine-making collective. The title is an allusion to the old cliche that when you're self employed, you have the "luxury" of making your own hours...whatever hundred hours a week you may want them to be. I have to say, I totally related to that idea, as it is similar to a joke I make a lot about getting to be coordinator of Maximum Rock and Roll. Anyway this zine is great. It's nice to read a DIY success story that is based in ethics, integrity, and the desire to have fun with your work, and one that doesn't end in disaster, betrayal, or heartbreak. Joe, along with the rest of the Microcosm crew, does a good job of describing both the high and low points of running the business, but overall you get the sense that the enterprise is totally worthwhile for the involved parties. This doesn't mean that it's all fun, but it clearly beats being a worker drone for somebody else. Anyway, like I said, I saw a lot of parallels between working at Microcosm and working at MRR, which may explain why I enjoyed reading this zine so much. 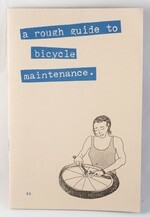 But it's well written and cheap, and you should tack it on to your next Microcosm order for sure. Nice work, Microcosm - keep it up! Yeah, nice long title. 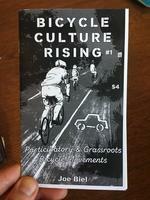 So, this is the history of the radical publishing studs at Microcosm, as told by them, in (naturally) zine form. Seems a little weird, but what the hell, I guess if you run the place you can write about whatever the heck you wish. 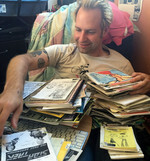 The bulk of the zine is authored by founder Joe Biel, going through the humble beginnings as a small distro and record label in the mid-90s up to its publisher status in zine-central, AKA Portland, Oregon now. But a few other people offer their stories on the evolution of Microcosm, those basically being the other employees there... of which all their contributions just seem like shorter versions of the main story. But I like knowing where I'm getting my books and zines from, ya dig? Next time I can just be told once and I'll remember it, promise. 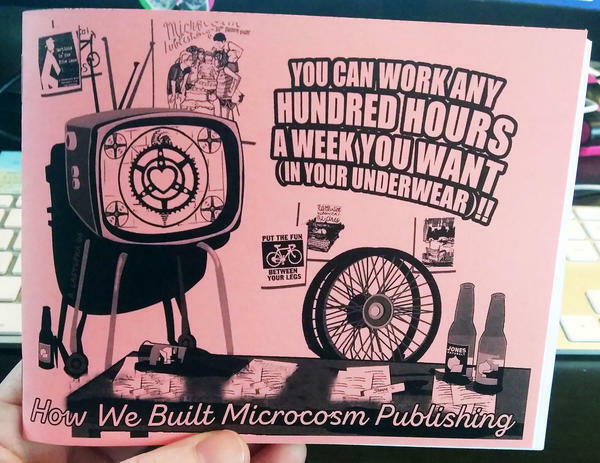 A detail-filled synopsis of the history of Microcosm Publishing and how it came to be. 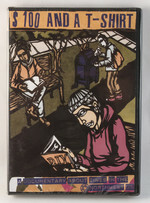 The zine chronicles the start of Microcosm, the move to Portland, OR, the idea to publish their own books, tour to support books and zines, and operate on a collective basis. It's a description of what it feels like to pour your heart and soul into an idea, to see it rise and fall with your passion and pocketbook. The end pages are reserved for the folks that put their time and efforts into Microcosm, what they do, where they come from, and how they came to be a part of the Microcosm collective. 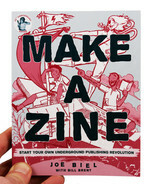 A great fact-filled zine for folks that love this collective, as do I, and a really good primer for anyone crazy enough and passionate enough to think about starting up their own lifelong project! Joe Biel takes us through the first half of this book, and then allows various Microcosm employees who have passed through the house over the years to take it from there. Rarely do D.I.Y. distros survive as long as this one has and the key to their success is clearly hard work and conducting business with like-minded individuals who also believe strongly in what they represent. It’s also worth noting that Joe believes in the importance of doing things like this full time and thus drawing a living wage from the monies, otherwise it’s likely Microcosm would collapse due to day to day jobs taking far too much out of people. It’s a thought provoking read for sure and will serve as good advice for anyone considering embarking on a similar path in life. Ever see a really sweet band documentary when you were a kid and all you could think about was how badly you wanted to be in a band? Or maybe you saw "100 Dollars and a T-Shirt" and right afterward went to work on the zine you'd been meaning to finish for the past year? Well, reading Joe Biel's history of Microcosm was kinda like that for me: after reading it, I spent the rest of the day trying to convince myself I should start a distro. Joe's writing is engaging as he gives you the inside scoop on how her started the distro and all of the ups and downs of the past ten years. The second half of the zine is written by past and present staff of Microcosm about their thoughts on the distro and how they got involved. I found it really fun to get other people's perspective after getting Joe's story. The whole thing is really well written and way worth it.